Trikut Films Pvt. Ltd. (TFPL) a media and entertainment company, has been catering to multinationals and companies who have a reputation of strictly adhering to very high standards of technical and creative output. TRIKUT FILMS is a creative and design-focused film production company driven by insight, creativity, and craft. OUR FOCUS is simply to work with complete dedication and bring brilliant drama and content to screens big and small. Trikut films is Producing a Marathi Feature Film “Kadhie Ambat Kadhie Goad”. It features actors like Ashok Saraf, Mangesh Desai, Nisha Parulekar, Madhav Deochakke, Pallavi Patil etc. and is written and directed by Amol Bhave. Shooting completed, the film is in the post production stage being readied for release. 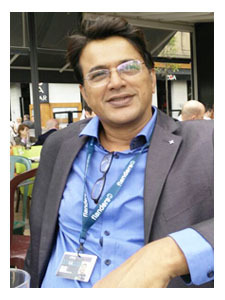 Produced more than 6000 hours of Fiction as well as Non Fiction content for different channels and in various languages. This includes India’s national broadcaster Doordarshan as well as private channels. Some of the serials produced are: Children’s serial “Genie ani Mini”, Social Drama’s like “Kalpataru”, “Timir Swapna”, “Saath Sangat”, a mini-series “BABA - Ek Atuut Naata”, “Swarmala” (Musical non-fiction) etc. 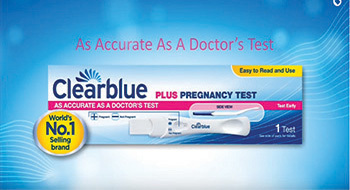 Produced Ad films for multinationals like Bayer, Alere, Sony etc., and their brands like First Class Cotton Hybrid Seeds, ARIZE Rice Hybrid Seeds, Clearblue Plus - Pregnancy Test Kit, SETMAX channel etc. Featuring actors like Bipasha Basu, Shweta Tiwari, Sharmilla Kasala etc. 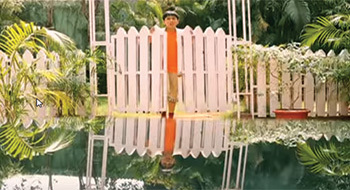 the ad films were shot in multiple languages. Produced a Documentary on Climate Change for the British Council’s UKEFF project. The film titled “BLOCKS of GREEN” was a part of the series which was aired on the National Geographic Channel on the world environment day. Other projects include a Documentary for The Oneness University (Chennai). 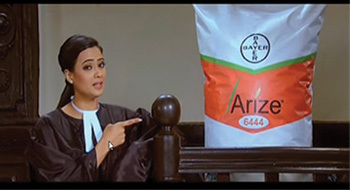 “ARIZE ka STYLE” a brand promotion film for Bayer Bio Crop Science besides regular corporate films for the likes of Bayer Pharma, DGP Windsor, Dewan Housing Ltd., etc. As Line Producers, Trikut Films manages all logistics, from planning to implementation to completion of a film. We facilitate location scouting, Government Permissions, Production Design, Casting, Crew management, Travel, Stay, F & B, Shooting Schedules etc., i.e everything from Pre Production to Actual Shooting to Post Production. © 2019 Trikut Films Pvt. Ltd.